Most human beings share an interesting characteristic. They are able to easily misjudge pretty much everything based on their expectations, possessions and own yearnings. If one has been longing to buy a particular car and finally gets it, it will take a lot of time to admit it's garbage even when it really is. I read on an Internet board a statement in the vein of "After half an year everybody will only care about the first two Batman movies because now people are refusing to be let down". It looks like this is really the case with The Dark Knight Rises. Most people, including most critics, are favorable to the movie despite its numerous flaws. This is understandable because of their expectations but it does not change my observation that The Dark Knight Rises is artistically an epic fail (pun intended) regardless of its inevitable commercial success. I am not a fan of Batman, comic movies or any other particular genre of films or even art. I'm not their "hater" either. I've seen thousands of movies and listened to thousands of music albums. And I think there are good and bad works in every genre and form of art. This is to show I am not prejudiced in any way in regard to the third Christopher Nolan's Batman film. Even more, similar to everyone else I prefer to like a movie when I am paying to see it. But it is really hard to like The Dark Knight Rises. And I'm not talking about inessential or artificial reasons to dislike the film pointed by other people (e.g. how Fox is researching a vehicle that exploded, how Bruce Wayne is walking on ice or returning to Gotham, or how a young policeman is able to guess Batman's identity). These do not bother me and most of them are not actual issues. I could also live with Bane's false statement that he didn't see the light until he was already a man. I can think of it as a figure of speech. I am talking about real flaws to an extent that even Nolan has tangled himself in the mess he has created. Christopher Nolan based his Batman trilogy on realism. It's amazing how people simultaneously praise Nolan for this and at the same time they excuse every improbability issue with "Hey, it's a super-hero movie". And there are a lot of improbabilities in The Dark Knight Rises. To mention just a few, healing a vertebra protruding from your back with a punch or having a child making a jump adults cannot make is not what I would call realism. Many of the faults decorating this film are related to the villains in one way or another. It's ridiculous how a villain who used to hate his father stops hating him after his death. Even more, the hate is changed by a determination to fulfil the father's wrongly understood destiny by destroying a city with 12 million people including the villains themselves. This is absurd on its own but more preposterous is the fact that at least a few of the mercenaries helping the antagonist are aware of the suicidal plan, yet they are also not bothered to die. So the number of mad people in this Batman installment is not limited to just one or two. It is also impertinent to try to convince Gotham's citizens you want to help, liberate or save them by destroying a stadium and killing a scientist in front of them. Only an idiot would buy this. Maybe Nolan's intent has been to present a city of 12 million idiots, who knows... Actually, the only occasion when Bane looks somehow inspirational as a revolutionary leader is one of the initial sequences when a plane accident is imitated. Throughout the rest of the movie he is more menacing than inspiring (even to his own crew). This is a kind of inconsistency on its own. And the decision of the insane criminals not to destroy the city immediately when they have a chance instead of waiting for 6 months and risk everything does not make any sense. The annihilation of the city is poorly motivated in the first place but the reason for the delay is not better motivated either. To bind Batman's suffering with Gotham's destruction is stupid. To delay the latter while simultaneously being constantly afraid someone might spoil your plans is more stupid. It looks like the villains are afraid to pull the trigger of self-destruction cause this does not happen even when Batman is back in the city. It is also unclear when and how the antagonist would enlighten Batman with the final revelation if Bruce Wayne weren't able to escape. Maybe with a personal TV announcement in the last minute. And who would take care to finish Batman if the villains had committed suicide? Batman has never seemed a suicidal type despite his moments of desperation. That he has Bane's "permission" to die after Gotham's end does not seem enough. Why nobody would cancel huge financial operations, which have apparently happened in result of armed intervention, is beyond my imagination. The usage of Bruce Wayne's fingerprints does not make a transaction more likely, especially when he has not been doing anything on the financial markets for at least 8 years. The very idea that a physical presence is required in order to initiate a transaction (hence the need of the attack on the stock exchange) while at the same time only a man's stolen fingerprints are enough to perform it is contradictory in its basis. Furthermore, it's a movie about a high-tech protagonist, yet instead of using some technologic advantage in a battle against time, Batman decides to confront his powerful enemy with bare hands as if he has months to waste. There are redundant characters. I suppose nobody has an idea what the purpose of Selina's girlfriend in this movie is. Or why Daggett should be there? Maybe to show there is at least one bad person in Gotham or to delay the revelation of the real villains. The situation is not very different in regard to Foley (Deputy commissioner of Gotham City). He is probably there to demonstrate the incapability of the police but he's not really needed and in an effort to justify his presence there are a few unnecessary scenes between him and Commissioner Gordon. The excessive use of infodumps is another evidence of a weak screenplay and direction. Every second character with more than an episodic appearance in The Dark Knight Rises is explaining something. Alfred, Miranda, young Gotham cop Blake and a couple of prisoners are a few good examples. Now, there are people who will justify everything in order to remain convinced about the movie greatness. This includes the incredibly lame motivation of the villains, the redundant characters, the weak script, the infodumps, the inconsistencies. All these could be excused with "it's just a movie" or "this is the director's point of view". These are poor justifications, yet people often use them. But here is something else one wouldn't expect from a professional movie. This is a thing I unintentionally noticed on my single viewing of the film, yet I haven't read about it anywhere. It's not likely I'm the only one who has spotted it although I am not surprised the majority of people miss this ridiculous moment because of the patchwork the film is. There is a point in The Dark Knight Rises, where Fox is captured by the villains. Additionally Commissioner Gordon and Miranda are captured too. The commissioner is sentenced by the self-proclaimed court and subsequently Miranda is taken away by Bane. Next we see a new captive brought to the place where Miranda and Fox are kept. This is Batman. He talks with Miranda and Fox and after that Batman and Fox are released by Selena. A few scenes later Batman saves Commissioner Gordon at the time of his execution. And now a very strange question follows. Batman asks the commissioner "Where is Miranda Tate?" and Gordon says, "Bane took her." Why would Batman ask a question when he knows its answer better than Gordon? Maybe he has again too much time and just feels in a mood for chatting. I'm sure there will be people who will be able to justify even this nonsense. But the truth is quite simple. The filmmakers (incl. Christopher Nolan) have lost themselves in the glorious mess they've created so this detail has been apparently overlooked. The mess of "seriousness", epicness and pretentious moviemaking is so huge in this film that it's not strange the audience and the filmmakers have not noticed this issue. It's towards the end of the movie and at that point the audience is already so exhausted of the onscreen chaos that it's easy to overlook this moment. It's harder to excuse the filmmakers though. It's a movie costing quarter of a billion dollars made by one of the most acclaimed directors in recent years and faults like that, which even an amateur director wouldn't make, are hardly excusable. It's a perfect example how Nolan and the rest of the crew have been entangled in what they've been doing. One of the few good things about this movie is that it is not in 3D. But this can hardly compensate the overall weak filmmaking. The Dark Knight was overhyped, partly due to Heath Ledger's untimely death, partially because of other reasons. But even not perfect, it was quite a good movie. The attempt of serious filmmaking in a super-hero world was not so disastrous and the movie was balanced without huge misconceptions and lack of ideas. This is not the case with The Dark Knight Rises. With a weak script, villains lacking even basically plausible motivation, an excess of characters, inconsistencies, a surplus of infodumps and poor editing, the movie is deeply flawed and an expensive lesson on lame filmmaking. While i agree with some of your remarks, I still feel that the movie was great even though inconsistent at times. I think it had some really inspirational scenes toward the end. In terms of complexity and loose end, I think it is similar to Inception. Great review, as much as I didn't want to When I first saw the movie I definitely feel the same way. I caught that Miranda tate line as not making sense but told myself I must have missed something because it seemed like too large of an oversight for such a big budgeted film. I actually do not thing TDKR and Inception are similar in terms of complexity and loose end. Inception wins in these terms although it has some other issues. But Inception is a movie with a specific premise that is really hard to be realized without any issues while the problems in TDKR are primarily coming from the weak script/editing/directing. I am also going to be honest, the film felt like it was forced edited, it seemed like it would have been longer but someone did not agree with the runtime. Jonah Nolan mentions catwoman almost all the time but he has yet to mention Miranda Tate (spoiler: Talia al ghul, the worst kept secret in cinematic history.) I fell like she was shoe horned into an over busy film already, I did like some of the film but it had two entirely different plot lines , one very similiar to the dark knight returns the other some jesus christ imatating nonsense I almost cried with laughter about these men chanting "rise", it felt nonsensical and didn't fit in with the story. I do feel that if it did continue with the narrative of the dark knight it would have suceeded. I cannot help but feel that we might be getting an extended cut hopefully it clears up the problems we have this film, I wanted to like it so badly but I can't I would be fooling myself. Chris, I could imagine for a fan of Batman franchise having a brain the disappointment is even bigger. However, we receive a lot of negative comments that do not add anything to the discussion and are usually from one to four words long. We do not publish them but they show there are a lot of people who don't like this review but are not able to write anything except for "you're an idiot", "crap", etc. I do not think this is a good attestation for the fanbase of the film or for the film itself. Of course, there are also smart people who like the movie for whatever reason but unfortunately, it seems a big part of the fans are not very intelligent according to their writings. While I agree with the contention that this film couldn't quite reach its own lofty ambitions, to call an epic fail / lame film-making is stretching it too far. Lets see where I agree with you: Criticisms about the amount of exposition are valid and there is a possibly a continuity goof wrt Miranda/Fox/Bane. That said, there was a lot to like about this movie as well; enough to overlook the flaws (for me) and like the movie. The tie-ups to the first movie and the arc of the story of Wayne/Batman came out beautifully. I found the underlying commentary on the nature of society and its institutions intriguing and the idea of terrorists tearing at what are obviously the seams of a society pretty terrifying. In this light, I must add that I didn't require convincing about the need for the presence of Daggett, Foley and Selina's roommate. While I can agree that the film is not perfect, and in no way close to Inception (really, brainless action VS a movie with plot that requires some thinking), same director maybe but still an "unfair" comparision since they're not the same genre, much like comparing Alan Wake to CoD. However, as I read your review I get the feeling that you actually don't want to like the movie, that you try to find "flaws" or "weaknesses" to complain at, things that really doesn't matter to the movie. One could quite plausible say (for example) that a Billionaire like Wayne would make sure no one touches his money, and requiring a finger print or similar physical proof is a simple yet effective protection. It's used for computers with classified info every day, simple but it works. Further more, one could claim that Batman did it intentionally to be able to (at least) face the person who's trying to steal his money. To get the money, you have to get Wayne, and hence show yourself to Batman before you'll even touch the money. But most of all, even though this version of Batman is supposed to be semi-realistic, its still a comic bock hero bound by the laws (cartoons, books, series) about him and his universe. Batman should use strength as well as gadgets to win, and honestly most of the bad guys are just bad for the sake of being bad, no more then that. In a realistic Batman, Bruce Wayne would be a bad guy since he makes money, no doubt from others loss. He buys and sell companies, fires people etc, a true "bad guy", but who would see a movie of Batman VS Bill Gates/Steve Jobs? No one, no need to overdo the realism in comic book series, or movies based on cartoons. Although I must say, his back injury would theoretically have healed if he just kept the back still for many months (happen a paratrooper in WW2), and while smashing back bones with brute force sounds harsh, it is indeed a part of every day medicine. And yes, a child could theoretically make a jump an adult could not for various reasons. The child was in good shape and had a flexibility a grown man lacks, the child had the will to try and the fear of death, which would give an adrenaline boost that could give you super human strength for a short while (moms who lift cars to save their children), and last but not least, the rope. The rope was no doubt both heavy and thick, two things that would restrict his movement. Not to mention the guy pulling at the bottom, if he pulled to much/not enough, the rope would drag you back. The movie was shot with IMAx cameras, which guarantees the best freaking picture quality possible, way better then any standard camera (or 3D). However, IMAX cameras are both heavy, loud and expensive to use, wile 3D cameras are cheap. Hence you'll see few IMAX movies but tons of 3D, 3D is a gimmic to sell movies to those who know no better and will no doubt vanish until the technology is better (aka not so flat) while IMAX is quality, has always been and will always be. "Oh noes, batman forgot where they took the girl?! plothole!" Well, maybe, maybe not. as you might remember Mr Wayne coes back to Gotham after a less then relaxing visit to "the hole", add to that his company is ruined, his home town ruled by Anarchy, himself both bruised and stressed out (PSD). One can't blame the guy for not remembering everything, or more likely needing to hear that what he though he knew really was true, nothings changed and he's not mistaken. Not to mention the fact you find it shocking that a child who has a serious fight/fallout with a parent before they die, get issues later on? Welcome to primary psychology. The daughter is trying to make her father proud, she's upset he died while they had a fight and she's trying to fulfil his dying wish to make him proud, as a way to say "I'm sorry". And who's ever heard of people willing to die for a cause? I can't think of any extremist who happily blows up themselves and people around them, crash an airplane, convinces his followers/family to eat poison, get crucified or burnt alive for their believes. Seems to me human history, or even every day news, are full of "people" who'd gladly kill themselves and tons of others for any cause, hence I say Banes suicide troops are very, very realistic. Even the 6 month before detonation is all a part of the plan, just as Bane could have greeted the defeated batman with a shotgun, or just had one of his henchmen shoot batman in the back during their fight. Bane wants to deliver a message, he wants to make people think, and hence the 6 months delay to teh explosion is perfect. A random explosion would just be a random act of terrorism, 12 millions dead, and a memorial. Holding a city hostage for 6 moths, unleashing Anarchy and then blowing things up, is a demonstration. Demonstration of his power over the government, who can't do anything despite missiles, military and all their power. During those months, Bane has more power then the US president, his "army" got more power then the US army. And when he blows all to kingdom come, he's made sure that his message is brought forward, that no one can simply sweep it under the carpet. The fact that he's willing to sacrifice himself shows his men and everyone else how much he believes in his plan, and how dedicated he is. Not to mean to you or anything, but it seems like you've missed the point of the whole movie, not to mention that what you call unrealistic is a part of your every day. No sonny, this movie is not unrealistic, the fact is that it is realistic and that's the scary part. It scares you to realise that, and hence you'll gladly hide and pretend it's not, that no extremists exists, that the Us government is almighty, that one can be safe in ones home. Feel free to not publish this, since this post proves you wrong and you know it. Better to delete it, admit defeat and play "high and might" since no one counters your arguments or ideas. Or post it, admit that I've got some points and that what I say might be just spot no. No need to tell everyone, but deep down you'll know I'm right. Feel free to ridicule or taunt, that sure brings a lot... Well, here's your chance, be a great man and admit that maybe you were wrong, or be a coward and choose to hide the truth. Why hold a city captive for 6 moths, when Bane could just steal a random russian nuclear missile and launch at the US, you'll have 3rd world war in no time = profit, no? Or would bane just bring out a gun and gun down people in his neighbourhood, sure is realistic enough? DL;TR Realism =/= simplicity, what you want is a dumbed down action movie in Arnold style. Bad guy who wants money, good guy who does what he's told, nothing more and nothing less. 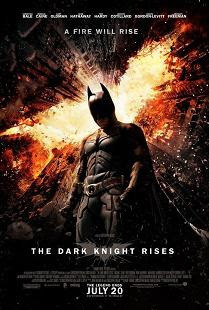 The Dark Knight rises on the other hand does deliver a fantastic plot, hidden behind the ordinary brain dead action, no inception/sunshine of the spotless mind, but still to much it seems. When people say that the movie is "realistic", obviously they mean that it's realistic for a superhero movie. Anyway, I agree with most of your points, the movie had so many flaws. Personally, however, those flaws didn't took away my enjoyement from the movie. You make an interesting point about how biased people can be based on expectation, but it's a generalization of course: today I watched the movie with my sister (an adult, by the way); she did not watch the first two movies and probably agreed to watch this one just for the pop corn. She watched the movie completely without falling asleep and afterwards she said: "that was good". If my sister, the most uninterested person in movies that I know, sits down for almost three hours without falling asleep to watch the film, I'll hardly call the movie an "epic fail". "Realistic for a superhero movie" sounds like "it's good enough for the money it costs". The latter is usually another characteristic of the "garbage car" group of people. :) I wouldn't say it was a generalization cause I didn't say all people belonged to that group. To give you a counter example. I saw the movie with 4 other people. Two of them do not care much about movies. One of them sees almost everything released in cinema and the fourth one is somewhere in the middle. Not even one of them liked the movie. Actually, 2 of them were close to falling asleep (to use your words). So, we were 5 people and two of us had seen thousands of movies. If nobody found TDKR interesting, there should be some problems with it. Yet, I do not deny there are lots of other people that like the film. About the rest of your long comments... I am not a person who tries to like or dislike a movie. If I think a movie is likable I like it. I don't try to like it or not intentionally and in advance. But I think you've tried to like the movie. Which of course doesn't make your comments unprejudiced. You are just trying to neglect my arguments independently whether you've even understood them. You've misunderstood my point about the fingerprints. The problem here is not why Wayne would use them. The real issue as written in the review is that if a physical presence is required at the stock exchange (and apparently it is, otherwise Bane would not attack it) then Wayne's fingerprints would not be enough for a transaction if his body is not there physically. Everything else is a major contradiction and I'm sorry if you are not able to spot it. I do not think Bill Gates or Steve Jobs are necessarily "bad" guys. It depends on many factors. I think you're in a huge delusion about healing your back with a punch. I do not think you'll ever meet a person healed this way. I also do not think you'll be able to find a child to do such a jump. Anyway, these are not the major issues of the film. I am not sure what you want to tell with IMAX vs. 3D statement. I've already pointed it's good the movie is not in 3D. I haven't said the editing error about Miranda is a plot hole. Again, you are trying to insinuate this. I'm sorry to say it but the rest of your statement in regard to this editing error is nonsense. You can ask Christopher Nolan himself and he will confirm it is an editing error. In regard to psychology I really doubt you have more knowledge than me. But yes, you can explain almost everything with psychology. Yet this doesn't make it more realistic. About the extremists and people willing to die for a cause, check again the human history and everyday news. Maybe you'll be surprised to find that nobody behaves like the ones in the movie. There are a lot of unrealistic things in this regard but just start with this one: extremists do not bunch together to make a mass suicide when the goal is to kill other people. Holding a city for 6 months, making the people to obey your wishes and finally destroying it after they've behaved as you've wished is first unrealistic and second, nothing more than a demonstration of stupidity and inconsistency. You won't prove anything with it and nobody would be impressed by your inadequate behavior. The last paragraphs you've written even do not deserve commenting but here are a few words. Your comments demonstrate you do not understand movies, psychology and human history, yet you use your pseudo understanding as argument. I see that you pretend to be near God and want to give advice to others but things do not work like that. You should prepare yourself better, stop insinuating things, stop pretending to be smarter than others, educate yourself better and only then you might have such pretentions. I am not happy to say it but your comments and especially your last paragraphs just prove my observation that many of the people who (blindly) love the movie have certain issues. There are people willing to die for their cause, and that cause might not always be a good thing, just look at palestina and israel and tell me again there are no people that are willing to die for a cause. And even if bane knew he was going to die doesn't mean all of his men knew how everything would end. And even if they knew, people will kill themselves for their cause and in order to kill a lot of other people. war in itself is a good example, lots of people going in to kill other people knowing that they might die or knowing that some of them will never return just in order to 'protect' their land. vinteresting observations you have made about the film. so how is this a flaw? The league of shadows was always about mad men..once a member,their life is forfeit even if it means dying for the cause of Ra`s Al Ghul`s destiny(this was properly explained in Batman Begins) so i dont think these mercenaries are just randomly agreeing to die..its because they are part of league of shadows who are brainwashed vigilantes... one person who thought different was Batman! Bane,like Ra`s al ghul wanted to tell Gotham that they are being run by the corrupt(rich) and their lies that are fed to people..and that they are forcing the crime in the city...so by startng from scratch without a political corrupt power to interfere...Bane asks them to take control..he does this by revealing Dent`s real identity from gordon`s letter..so the public know that they were being fooled! I DISAGREE,NOT AN EDITING ERROR!! when BW comes to meet Fox,he sees Miranda..he tells her that he wil not be able to take her out of the captivity(she is common captivity,mind you) tonite..there is a dialogue like this...he takes Fox with Selina and leaves for the hideout to get into Bat-suit... he has now sent fox to work on the reactor..he now goes to save Gordon...who was also captive..but since Gordon and Miranda were caught together trying to stop the truck...so the sentencing should have been together..and she should have also been with Gordon when on ice...she wasnt..this raises his doubt on where she is..to which Gordon replies,Bane took her..
you may think i am trying to defend Nolan..
sorry John!! i said Hi Chris by mistake :P! I don't know whether it is really so hard to read carefvully or people liking this film just love to make insinuations. When have I said there are not people willing to die for a cause? All I say is in reality things are not done in the way described in the movie. If several people want to kill other people they will go at several places in order to kill more victims instead of committing a mass suicide together in one city. This is pointless for that kind of extremists and they would never do the stupid things described in the movie. Bane is not the only one knowing about the lethal end of the city. If you watch carefully the movie, you will notice there are at least 5 people knowing it and probably there are more but not shown on the screen. And war has nothing to do with this although it is also an insane activity. Of course, you're entitled to your opinion and it is welcome. Here are some thoughts on your comments. 1) Like many other things in the movie, we can assume it's possible. But it's not probable. The problem here is in the system described in the movie. There is not any sense in the idea that only Wayne's fingerprints would be enough for the transaction if a physical attack on the SE is required in order to perform the transaction. Do you get my point? It's simply illogical the way it is depicted in the film. 2) Look at my answer to the anonymous guy above. The issue is not there are people willing to die for a cause. The problem is in the fact that suiciding more than one or two people would be really redundant. And throughout the movie it becomes clear there are at least 5 people knowing about the inevitable annihilation of the city. In real life, there are people willing to die for a belief but not like this. They also value their lives and they commit suicide for a purpose, not just for the sake of committing it. So a mass suicide would be completely unnecessary in this case thus it's not plausible. 3) I don't see your point being in contradiction with the article. 4) Again this is not realistic although I admit it is possible. In reality, extremists usually just want to inflict the maximum possible damage. The risk of delaying the blast with 6 months is too high and in the real world I don't think anyone would take it. And vaporising the city with toxins is actually a bit different initiative despite also being slow. 7) I'm sure Nolan has not thought of these characters as redundant. He would not use them otherwise. This is just my perception of them. 8) Your explanation is possible. But again it is not likely at all. Furthermore, I'm sure this is an editing error and I even do not think Nolan would deny it if he's asked about it. It's just lame editing and it's apparent. Also in regard to Bane saying "Impossible", etc., have you thought why wouldn't Miranda warn Bane about Batman being in town again (Batman has already seen Miranda and it is an editing mistake but this also means Miranda has seen him). This is another issue which I haven't mentioned in the review to avoid completely spoiling the movie by revealing she's related with Bane. Maybe, if you watch the film for the third time, you'll change your mind again. Anyway, I am sure there is an editing error with these scenes. Thanks for your comments. I have not any problem your opinion differs from mine. You've tried to explain your position and even if I do not agree with the greater part of it, I don't mind publishing it. Sorry, if I am not quite comprehensive at times but I do not have enough time to write about everything in full details. And I also rely on people's thinking in order to not make my writings even "longer". sorry,i forgot to copy point no.5! neither Bane nor Talia thought that Batman/BW would escape the prison..they never had that thot that he would return..they wanted him to watch while the city he loved burnt..it would kill his soul..Bane had broken Batman`s body..but he would break his soul only when Batman cannot save Gotham... remember the dialogue??? I too couldn't believe the "Where's Miranda Tate?" serious error in editing. Big let down. -Miranda volunteers to "help" Gordon and Blake track the truck. -Bruce is back and meets Selina in the streets and asks her to take him to Fox, who is held captive at the Stock Exchange, where the Court is. -Miranda and Gordon are arrested by the Mercenaries too, then taken to the abandoned Stock Exchange, the Court. -So Fox is in the Stock Exchange too. Waiting for Trial. -Bruce is bagged and brought to the Court too. He meets Fox and Miranda who are waiting for trial there. -Bruce saves Fox with Selina's help. Leaving Miranda there. Says he'll come back for her. -Gordon and his men are judged, while Bane takes Miranda with him. -Batman prepares with Fox for battle. -Batman goes off to rescue Gordon and asks "Where is Miranda Tate?" cause she should have been with them too. -But Bane took her to City Hall before Gordon was thrown to the thin ice, where she is kept captive until the conclusion. In the movie, the trial for Gordon scene goes before the bagging of Bruce Wayne and the rescue of Fox. So we see first Miranda being taken by Bane, and then we see her with Fox and Bruce. Big mistake. Also, in the script he never asks "Where's Miranda Tate?" to Gordon. But the question wouldn't be wrong if the scenes were put in the correct order. Thanks for your input. It makes the editing mistake more apparent although this error was pretty obvious even without knowing the script. Bruce knew where Miranda Tate was but Batman did not know. Batman just asked Gordon to protect his true identity and hint at the importance of Miranda Tate to Gordon. I think batman is really stupid when he is too realistic, in anything else I enjoyed the more super heroic characters in this movie. This movie in my opinion managed to be a super hero movie about bona fide super humans (batman and bane) without becoming too buffonish and clowny. Getting hang up on the fact that batman has irrealistic healing capabilities or whatever is really strange in my opinion, a symptom of weird thinking pattern. You are criticizing the movie because you were expecting a realistic movie (expect me to nap if they ever do anything about batman where he is not super human, even in the first comics he did stuff like using brawny thugs as a one handed weapon), it isn't, and you ignore all the movie because it isn't as boringly realistic as you expected. You ignore the excellent acting, the fantastic action sequences, how great the movie looks, the way some theme were developed, the pacing, just because you were expecting a super realistic batman (mega-boring). Whatever man. This is not even criticism in my opinion. Do you actually make any difference between something being not realistic and stupid? The movie has a lot of problems that don't have anything to do with realism. You just prove my point that most of the fans of the movie blindly defend it without even reading carefully people's criticism. What is the relation between lame editing, lots of infodumps, etc. with realism?